In this project, I am going to demonstrate how to make your own police siren alarm with the help of the idIoTware shield. 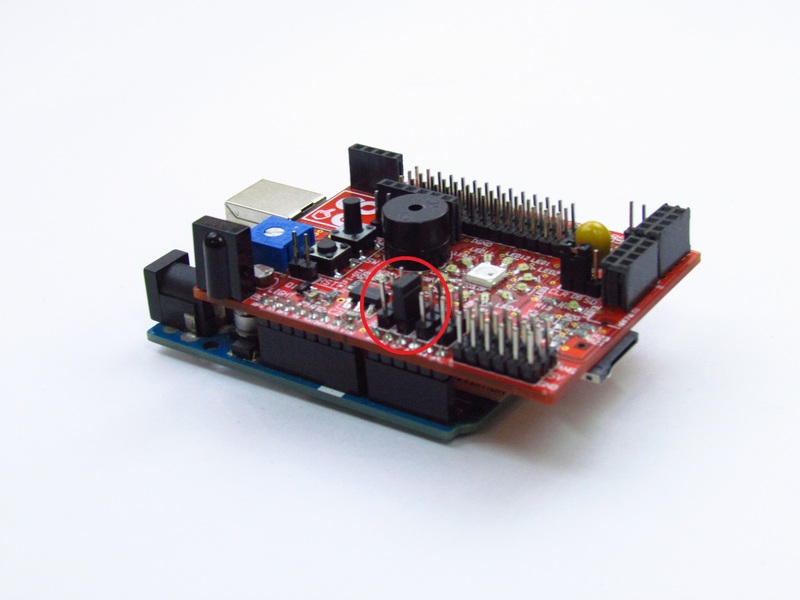 In this project i am going to demonstrate how to make a simple Police Siren alarm with idIoTshield. You only need to connect two jumpers on the shield .One to enable the buzzer on the shield and second to enable the RGB ws2812b led. See the images in circuit diagram . In function police_siren() the tone for the siren is defined. Use this function in the loop.To run the siren over and over again. Once we upload the code in arduino, we are going to hear the police siren, along with the RGB Color L E D showing a Red and Blue blinking light. You can now make your own program that play siren when someone unauthorised comes at your house.This will alert the neighbours about activity inside your home. You can also use the buzzer to alert you when the temperature increases beyond a certain limit, as measured by the integrated temperature sensor on the idIoTware shield. We will learn how to measure temperature in a later video. Another use for the buzzer is to generate any set of tones like nursery rhymes or the happy birthday song.